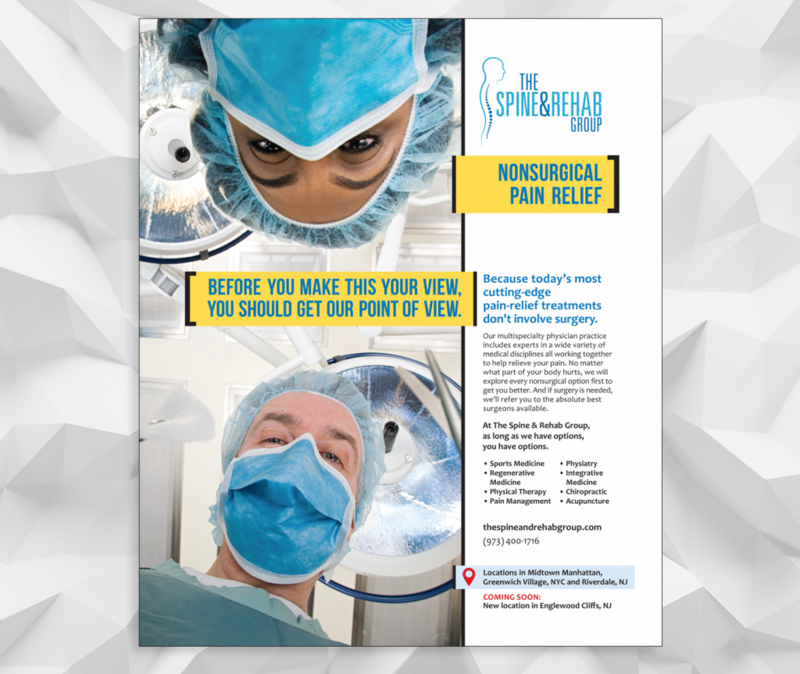 This print and digital marketing campaign uses imagery that leverages the practices non-surgical approach to patient care. 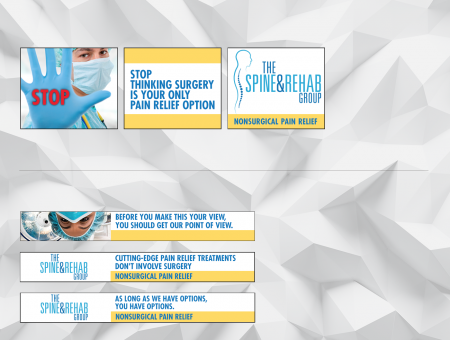 The concept positions The Spine & Rehab Group as the preferred medical practice for pain relief. 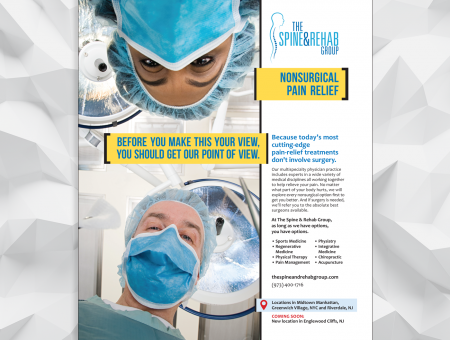 It explains that surgery should not be the very first (or only) course of treatment suggested. 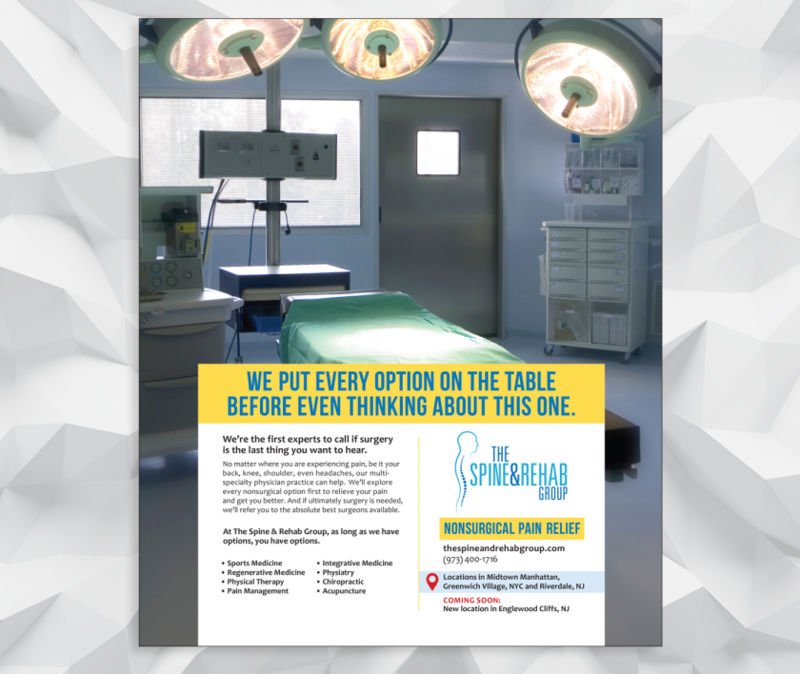 Because they are a non-surgical team, they will explore every non-surgical treatment option available.